Chimneysafe receive endorsement from FBD Insurance. 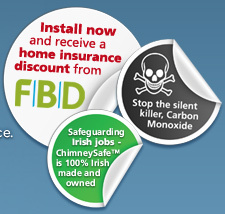 Chimneysafe has received the backing and endorsement from FBD, Irelands largest household insurance provider. 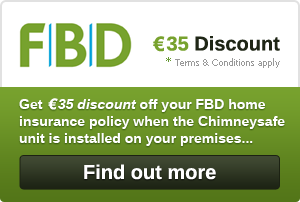 Any customer of FBD Insurance who installs Chimneysafe will receive a €35 discount voucher on their home insurance with an additional €35 every year the unit is serviced thereafter. FBD has assured itself of the quality of the product and integrity of the Chimneysafe brand and is happy to recommend installation of this product to its customers. "FBD are delighted to support this Irish product through our discount voucher scheme and we see this product as a proactive in dealing with chimney fires and reducing chimney maintenance"
"I have seen first hand the devastation chimney fires can have on families and homes; this product gives the assurance that you will not have to suffer this. It automatically cleans the chimney, keeps it clean to stop chimney fires occurring. As with smoke alarms this product should be seen as a necessity not a luxury." "My chimney was blocked with tar. Chimneysweeps had refused to tackle it. I was told I’d have to rebuild the chimney or forget about using the stove. I heard about ChimneySafe and got it installed. It unblocked the chimney and has kept it unblocked since." "We had tar leaking from the chimney into the house. We looked at relining the chimney as a solution but discovered ChimneySafe. Within a day the tar was dried up and we’ve had no problems since." "After a year of having a new stove in the house we found that it was not drawing well. We discovered the chimney was partially blocked. We got a chimneysweep to sweep it down but just 5 months later it was as bad again. We installed ChimneySafe and now our chimney is clear year round for one fixed cost." "The security of having STIRA and FBD supporting this product meant I had confidence in it from day 1. The annual insurance discount is a great bonus but the assurance of safety in my own home is most important. Now I have it installed I wouldn’t be without a ChimneySafe." "I used to clean my own chimney but now that I’m that bit older I physically can’t. I saw a presentation of this product in my local Active Retirement Group and I thought it looked good.  I rang STIRA, got it installed and it was a great decision. I now haven’t the hassle of getting the chimney cleaned and I know I’m safe from a chimney fire. I know I’m also more safe from carbon monoxide poisoning aswell. It’s a great invention, especially for the aged. I’ve recommended it to all of my friends and family." "My mother lives by herself. I got his product installed for her as I wanted to know she was safe when I wasn’t in the home. It gives me and her great reassurance that she’s protected from a chimney disaster"